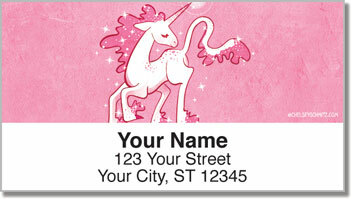 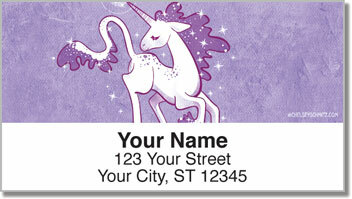 You know how awesome unicorns are, so why wouldn't you want to share it with the world every time you send a letter? 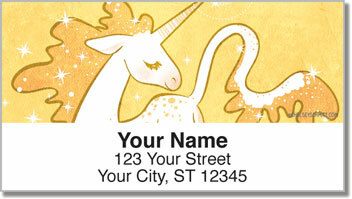 From artist and champion of all things girly and adorable Chelsey Schmitz, these labels show off her excellent eye for color as well as her mastery over creating characters you want to fall in love with. 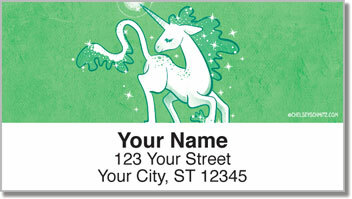 As an added bonus, our address labels have a sticky backing meaning that they'll stick to just about any surface with easy.